Day of the Dead is a celebration that honors the dead on November 1 or 2 and probably originated in Mexico. 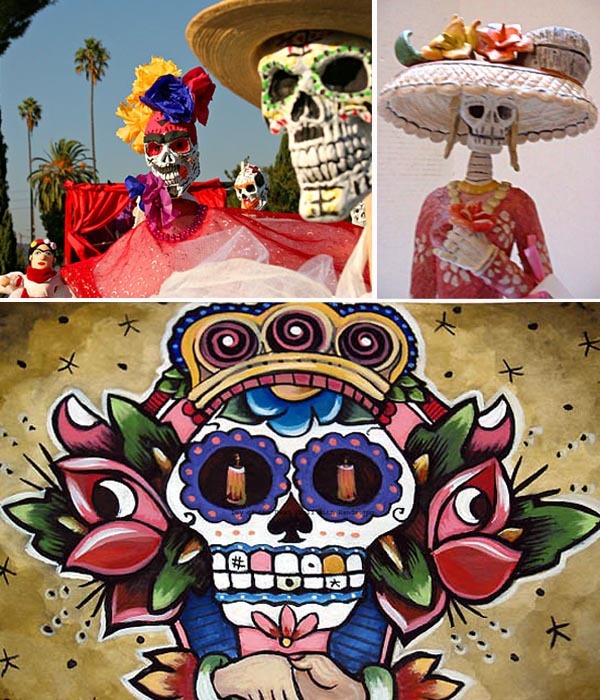 Despite the morbid subject matter, Day of the Dead is a vibrant and joyful celebration. I find the artwork that comes out of this celebration to be creative, inspiring and beautiful. Skeletons figure prominently in all of this art, and I find the juxtaposition of the dressed skeletons, vibrant colors and flowers captivating. I have always found everything about the Day of the Dead captivating - from the gorgeous artwork to the fact that people actually party in the graveyard. I want to celebrate it in Mexico some day!